Automatic bookmarking of each app has been released to iPhone, Android, Palm, Blackberry, Chrome, Safari, and other platforms. It's a significant change for the user experience and a new feature that allows rapid release of more enhancements. Each Keys mobile app is a collection of 30 to 200 terms, hundreds of images and videos, and activities like Learn, Watch, Spin, Match, and Guess that aid learning and memorization. When compared to e-books, each app can have thousands of pages - ie thicker than the textbook to the right. As our library has expanded to over 600 apps, we needed a better way to track the status in each app. The automatic bookmark feature has no user interface - it just works. When you select a term, that bookmarked term travels from activity to activity. When you restart an app, the last term shows immediately. In short, it's a bookmark. We use local storage, a feature that is supported by the iPhone, iPad, and iTouch (v2 or better); Android (v2+); HP Palm (all versions); Blackberry (version 5+); Safari (v4+); Chrome (v4+); Opera (v10+); Firefox (v3.5+); and Explorer (v8+). Other browsers from Japan and Nokia may support the same feature. IE6, IE7, older Firefox browsers won't have the automatic bookmarking. Using local storage, we'll be able to release many more features that enhance the learning experience. PS: A belated thank you to the 1,500,000 users who have downloaded Keys. And a special thank to the Amazon tech who suggested this approach to improving the user experience. Feb. 9 (Bloomberg) -- Hewlett-Packard Co., aiming to gain a foothold in the market for handheld computers, plans to begin selling tablets and smartphones that run software acquired in the purchase of Palm Inc. last year. HP, the world’s largest maker of personal computers, unveiled a new tablet called TouchPad and smartphones dubbed Veer and Pre 3. The tablet, the first powered by HP’s WebOS operating system, will let users access Adobe Inc.’s Flash player from its Web browser, the company said in a statement. UPDATE – The Product Page for the TouchPad is now live. TEARN media produces coffee-table apps for light education and light entertainment with over 800,000 downloads in less than 10 months. Leading titles include State Capitals, 300 Puppies, Elements, Bio Lite, and GRE Lite. The Palm users have been uniquely loyal to Palm, passionate about their phone, least likely to be a hacker, and heavily weighted toward women who do most of the buying. We have found Palm users to be the most likely to download new apps that we release. Unlike other platforms, these users have patiently waited as we improved our apps for webOS. In short, Palm users are a great group of realistic folks. TEARN media is looking forward to webOS version 2 performance improvements --- that allows the superior, polished user experience of webOS to finally shine through. Like all parents, are you struggling to find activities for your kids this summer? To celebrate the beginning of Summer, Palm wants to help you boost sales of your apps! From June 18th through July 9th, Palm will be offering all paid apps available in the U.S. at a 50% discount to consumers — a fantastic promotion that benefits everyone! Let your kids enjoy a light, stimulating summer - and get a head start on the coming school year. PS: Here's the updated gourmet food collection which we just updated with over 300 essential ingredients like spices, fruits, breads, cheeses, coffees. The Palm brand still has 5% to 6% global share, but declining. 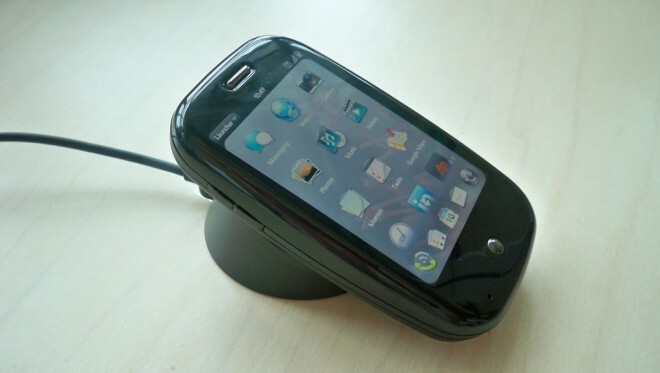 The new WebOS platform enables rich application development using the same webkit as the iPhone. In fact, most of the development team came from Apple. Some loyalty among old-time Palm customers. Distribution through existing relationships with global carriers. Alternative to Apple for carriers concerned with global dominance of the iPhone. i.e. Verizon positions the Palm as an emotional favorite for women. Innovates with both keypads and touch pads. Simpler software development, submission process. Simpler app store with weaker DRM. App catalog is open, exportable. Dependent on investors for survival. Best developers are unlikely to work for Palm. Not able to draw major content partners - like Youtube, publishers, broadcasters. Less sophisticated portal for developers. Cost disadvantage - due to lower volumes.